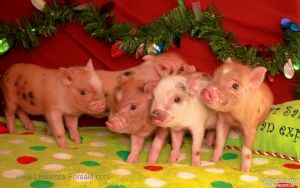 Potbelly piglets for sale ASAP! 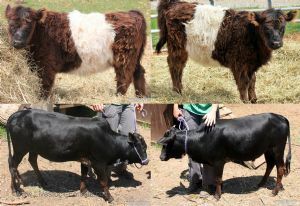 Paradise Valley Farm, located in Cleveland, GA, has mini two ponies available. 1 male & 1 female both born this year. $700-$850, plus 15% off! 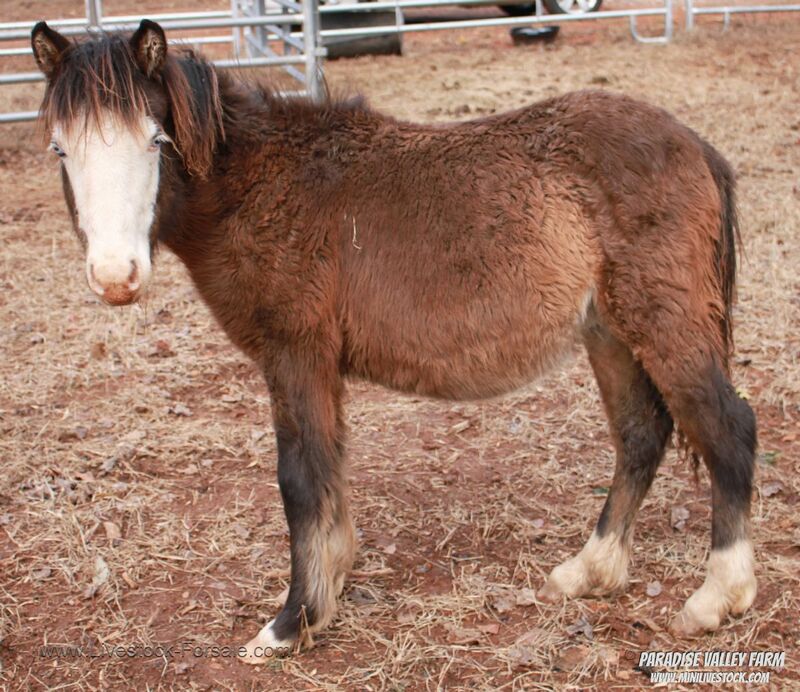 These ponies are friendly, used to people and looking for a loving home! 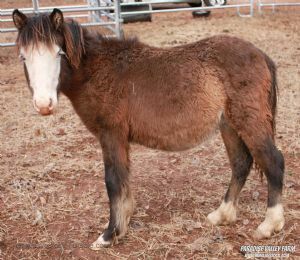 For more information visit https://www.minilivestock.com/mini-pony--donkeys.html If you are interested or have questions, please call 706-348-7279 or email info@minilivestock.com **Please visit our website to see photos & full listing. We're offering for your consideration an ADGA registerable American Nubian doeling. She was born on 05-24-2018 and is up-to-date on her CD&T vaccine. She is eating hay, grain, and grass and is drinking water. She's always been a very healthy kid. She was dam-raised and left on her dam until she was four months old. This doe is too young to breed this season but should definitely be ready at the end of 2019 to breed. Her dam doesn't have a show-quality udder, but her sire's dam's udder is very correct, so it could have been corrected. Her dam is a very heavy milker though. I had to milk her when she first freshened, and she was making almost a gallon a day while also feeding her twins. I imagine this doe would do very well in the ring as a dry yearling and possibly as a milker also, depending on how her udder turns out. 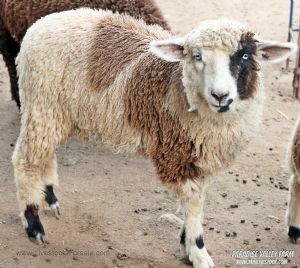 Her dam is heavily spotted and her sire is a blue roan, yet she came out solid brown except for a light brown spot on the back of her front left leg and a couple white spots on her chest. She could very well change as she matures but she could very well stay the same. CCGC Farms Blu Aint Your Color is the ADGA registered name of her sire. Blu came from one of our smaller Nubian does and was never a big kid or adult. He was a very calm, quiet buck though, especially for a Nubian. 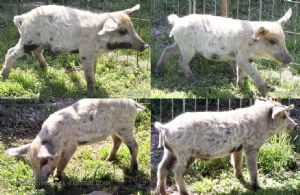 We sold him a few weeks ago but have pictures for those that want to see him. I'm only selling her to a dairy showing home or to someone experienced enough that knows not to breed her this young. 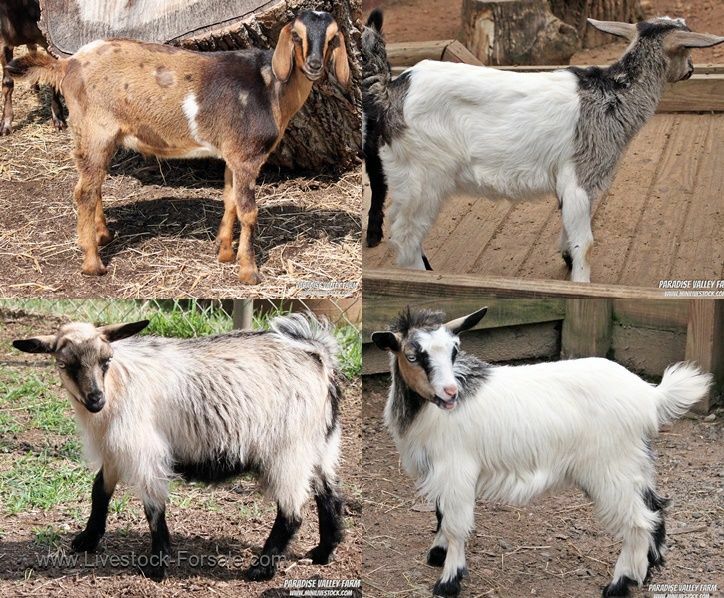 We tested our entire herd, including the doeling's dam, for CAE in January 2018, and all of the goats we had at that time came back negative for the disease. We're also an abscess-free herd. I'm asking $225 for this lovely young lady. 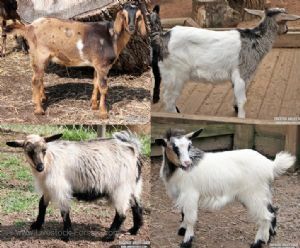 I have a lot of about 50 Boer goats for sale. Does and Billies. 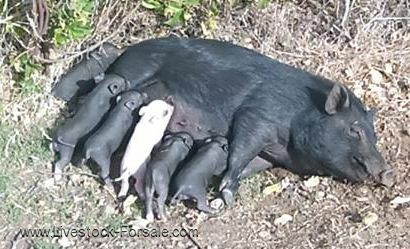 My parents have been farming these animals but the herd keeps expanding and they cannot keep up with them anymore. We would like to sell the whole lot in one go if possible!